The Friends of Hope Mill welcomed the Hon. 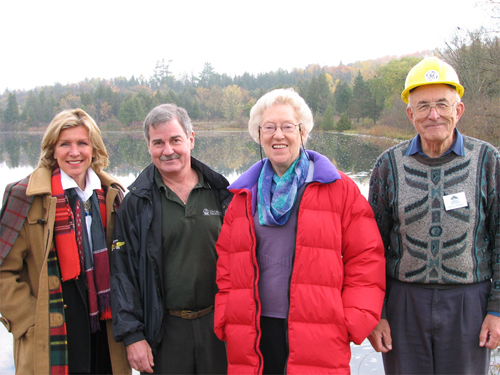 Flora MacDonald, federal member of parliament for Kingston and the Islands 1972-1988, and Betsy McGregor, federal Liberal candidate for Peterborough, to the mill on October 24, 2007 for a private tour. It was indeed a very enjoyable and memorable occasion.